Beer would not be beer without hops - hops provide the balance and is the signature in many styles. The bitterness of beer is provided by compounds such as humulones and/or iso-α-acids from hops used during brewing. 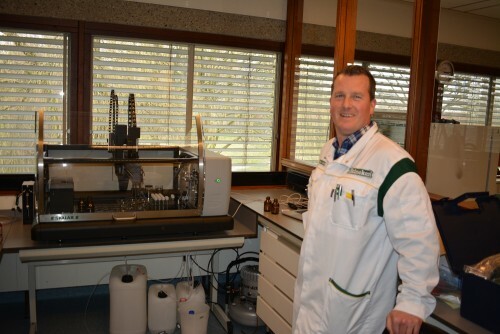 Skalar has automated the analysis of bitterness compounds such as iso-α-acids in beer according to international methods for example EBC, ASBC, Mebak and other standards. 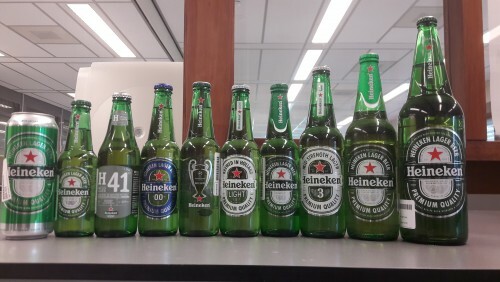 Heineken in Zoeterwoude, NL uses the SP2000 robot for the automation of the bitterness analysis in their various types of beer. The robotic analyzer automates all the necessary steps for complete and unattended analysis. The operator inserts the beer samples and starts the robot. The analyzer degases the samples and automatically performs the bitterness analysis by acidifying the beer and adding the iso-octane extraction solution. After extraction, the organic phase is measured at 275 nm in a flow-through cell spectrophotometrically. The bitterness value is automatically calculated. The robot has 15 sample positions for the sample treatment and all analyses can be carried out in duplicate. The sample throughput is 8 analyses per hour for bitterness, including the degassing pre-treatment. Besides the analysis of bitterness in beer, the SP2000 robot can also automate the measurement of Color, pH, Free Amino Nitrogen (FAN), SO2 on the same platform. Possibility to combine the bitterness application with pH, color, FAN, SO2 etc. Methods according EBC, ASBC, Mebak, etc. For more information regarding bitterness analysis in beer with the SP2000 bitterness analyzer or other applications. Then please contact Skalar.